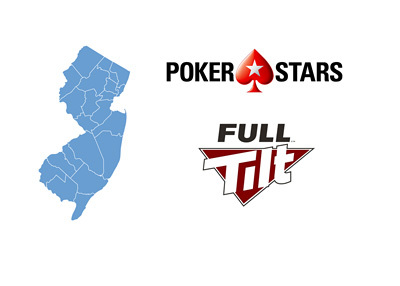 Amaya Inc. announced on Friday that they have received a six month renewal to operate their Pokerstars and Full Tilt Poker brands in the state of New Jersey. Amaya Inc. initially received approval to operate in New Jersey on September 30th, 2015. After months of build-up, "Pokerstars NJ" officially launched on March 21st, 2016. The site, as expected, is currently the largest online poker property in New Jersey, though the initial numbers have been underwhelming to some. The launch of Pokerstars NJ in March came after years of effort that resulted in the eventual sale of Rational Enterprises to Amaya Gaming. New Jersey's gaming regulators had made it clear that Pokerstars would not be obtaining a license to operate in New Jersey with the Scheinberg's still involved in the company, which resulted in the sale to Amaya in 2014. The March launch of Pokerstars NJ marked the first return of Pokerstars to US soil since "Black Friday" resulted in the company leaving the country in April of 2011. The renewal of Amaya's approval to operate in New Jersey was a small piece of good news in what has been a tumultuous couple of weeks for the company. Amaya's Chairman and CEO, David Baazov, took a temporary leave of absence from the company after being charged with insider trading by Quebec's securities regulator. The news resulted in Amaya's shares dropping as much as 27%, though they have since recovered.